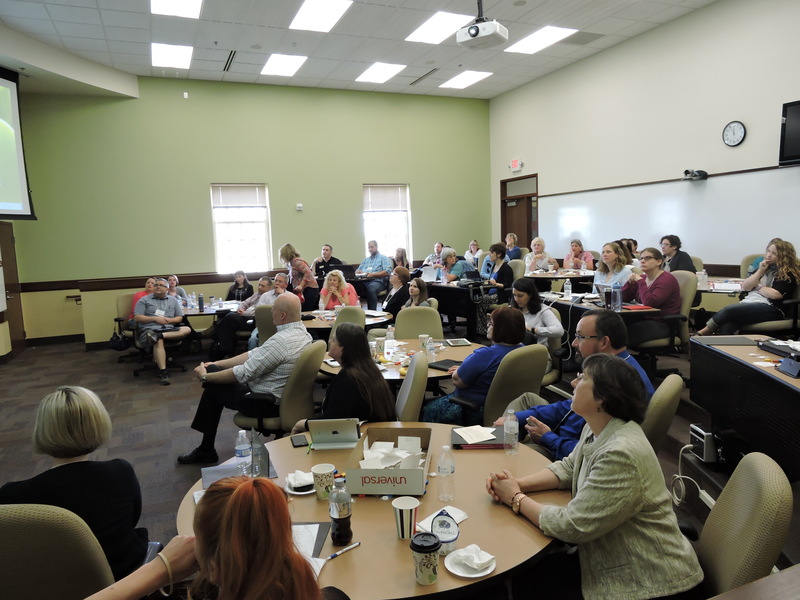 The DLIG spring workshop “INNOV8: Elevating Engagement for Students Online” was held on Friday, May 15, 2015 at Miami University’s Voice of America Center in West Chester, Ohio (just outside of Cincinnati). The 49 attendees had a great time networking, learning from colleagues, and eating delicious food (of course!). A high-energy playlist greeted attendees during the registration period with interspersed DLIG videos, like this one: https://www.youtube.com/watch?v=xPoRuzF9qTc, to promote our interest group. After a lunch break that included a nature walk around the pond at the Voice of America Park, Mandi Goodsett discussed the benefits of using open access resources to make instruction more interactive. The last presentation of the day was “Using LibGuides 2.0 and Video Creation Tools to Provide Distance Learning” with Jennifer Bazely and Jennifer Natale. The entire day was informative and enjoyable; 38 of 41 attendees noted that they were “Highly Satisfied” with the workshop and many unsolicited comments included anticipation about attending again next year. Carrie Girton is rotating off as co-chair this year. Jennifer Natale, Academic Resident Librarian at Miami University will be joining Kathleen Pickens as co-chair. This entry was posted in Vol. 33 no. 2 (June 2015) and tagged Distance Learning. Bookmark the permalink.